The pain can be triggered by bad posture while sitting or standing, bending awkwardly, or lifting incorrectly. 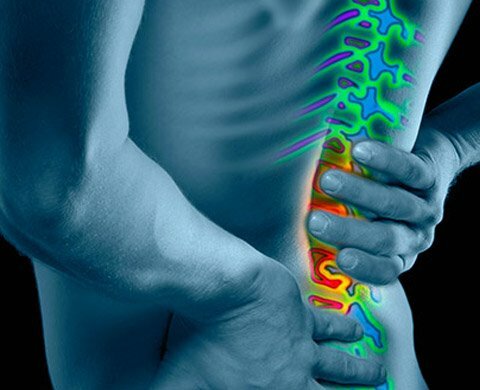 Find out more about what can cause back pain. Read more about the symptoms of back pain. You can take painkillers, such as paracetamol or ibuprofen, if you feel the need to. Hot or cold compression packs may also help reduce the pain. You can buy compression packs from your local pharmacy, or a bag of frozen vegetables and a hot water bottle will work just as well. Find your nearest pharmacy. Your state of mind can also play an important role. Although it can be difficult to be cheerful if you are in pain, research has shown that people who remain positive tend to recover quicker than those who get depressed. Some people choose to have manual therapy, such as physiotherapy, chiropractic or osteopathy, as soon as the pain starts. Private appointments cost around £40. For back pain that lasts more than six weeks (which doctors describe as chronic), treatment typically involves a combination of painkillers and either acupuncture, exercise classes or manual therapy. Most cases of back pain get better on their own and you do not need to see a doctor. However, you should visit your GP if you are worried about your back or you are finding it difficult to cope with the pain. How you sit, stand, lie and lift can all affect the health of your back. See the back pain guide for how to sit, stand and lift correctly to avoid backache.